When you are buying South Orange County real estate, don’t just think about how the home will work for you in the immediate future. I have a couple of recommendations for just such a mortgage professional. I also have an excellent recommendation for a Realtor who works well with all kinds of buyers, including those buying for their very first time. Shoot me an email or give me a call. If you’re going to have a South Orange County home for sale, it is important to appreciate the significance a first impression has on your potential buyer. A good next step for preparing your home for sale is inviting a trusted, local real estate professional to your home for a preview. In South Orange County, with over 36 year’s local experience, I would be such a choice. An agents experience in the real estate market can help you plan your strategy to get top-dollar for your home and help you improve the curb appeal at the same time. If you’re thinking of selling your house, shoot me an email, or give me a call, and let’s talk about the possibilities. Getting pre-approved for a mortgage before making an offer on a South Orange County home can help buyers, as sellers know that pre-approved buyers won’t have potential delays related to the mortgage approval process. Another advantage for today’s potential sellers is that the Realtors they hire should be more negotiable than usual, as new housing inventory is in extraordinary demand. Last week’s economic news was dominated by events in Cyprus and the Federal Open Market Committee (FOMC) meeting on Wednesday. 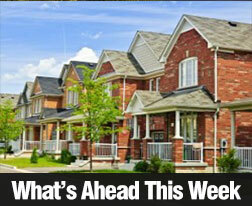 Mortgage rates fell last Monday as investors became concerned over news that a Cyprus bank bailout was in the works. The FOMC met on Wednesday and in a press release after the meeting, noted that no immediate changes to the present economic easing program would be made. 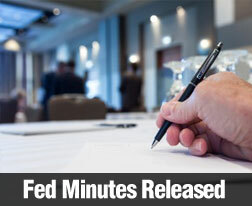 The Fed officers will continue to monitor the nation’s economy, and are eventually expected to implement a gradual reduction of their monthly bond and mortgage backed security (MBS) purchases when the nation’s economy has recovered sufficiently. The Fed currently purchases $85 billion in bonds and MBS in an effort to keep long term interest rates low. If the Fed should reduce its purchases, mortgage rates would be likely to rise. Investors viewed the Fed’s announcement as positive news and bond prices fell, which caused mortgage rates to rise, but mortgage rates finished the week slightly lower than last week. In global news, the European Union (EU) threatened to withdraw its promise of aid to Cyprus banks if they cannot raise funds required as a condition of the bailout. A one-time tax on bank deposits was suggested, but ultimately rejected as Cypriots nixed the idea of taxing their savings, even on a one-time basis. Cyprus banks provide a tax shelter for foreign citizens, and the banking system in Cyprus is disproportionately large compared to its size. Failure of this banking system could create serious repercussions for global financial markets. The EU has set today, March 25 as a deadline for Cyprus to find the funding required for the bailout to be given. Investors could seek safe haven in bonds if the EU withdraws its offer of a bailout to Cyprus banks, which usually creates downward pressure on mortgage rates. If the EU offers Cyprus banks a bailout, then investors may respond positively and buy more stocks which would likely cause mortgage rates to rise. Other economic news scheduled for next week includes Treasury Auctions on Tuesday, Wednesday and Thursday. 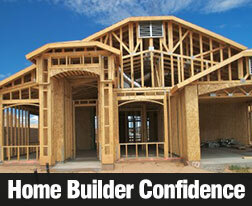 The Department of Commerce issues its monthly New Home Sales report on Tuesday. This report measures sales of new privately owned single family homes, and indicates buyer interest in new homes and also future demand for goods and services used by homeowners. “Rising home values pushed nearly 28,000 Orange County homeowners “above water” last year, meaning their homes no longer are worth less than the amount owed on their mortgages, CoreLogic reported Tuesday. The number of underwater homeowners fell to 15.3 percent of all homes with a mortgage versus 20.2 percent in the fourth quarter of 2011. Overall, 84,524 Orange County homeowners owed more for their homes than they were worth in the fourth quarter of last year, the Irvine-based property-data firm said. That’s 27,756 fewer than in the fourth quarter of 2011. Nationwide, 1.7 million U.S. homeowners moved out of negative equity during 2012. CoreLogic reported that 10.4 million – or 21.5 percent of borrowers – were underwater. That’s down from 10.6 million, or 22 percent in the fourth quarter of 2011. Nallathamb predicted that the trend will continue throughout this year. 19,828 county homeowners, or 3.6 percent of borrowers, had zero to 5 percent equity in their home. The total of negative equity and “near-negative equity” borrowers is now at 104,352, or 3.6 percent of all Orange County borrowers. A significant chunk of homeowners likely remain unable to sell their homes without a loss after paying commissions and closing costs. As this year’s extreme seller’s market gains momentum, even more “underwater” home owners stand to be lifted into an equity position. Because of the serious lack of housing inventory, this has become the best time in the past 6 years to be selling a house in Orange County – especially if you won’t be buying again, for a while, in this area. 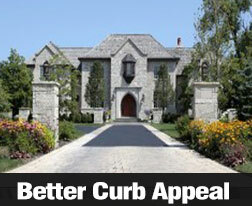 As a CDPE ( Certified Distressed Property Expert.) I am both well trained and highly experienced, to assist you in considering your options, whether to try to stay in your home, modify your existing mortgage, sell your underwater home in a short sale, or sell it in a standard or equity sale. Drop me an email or give me a call, and let’s discuss your options. “Real estate is always a game of knowing when to make your move. With that in mind, industry experts suggest move-up buyers remain mindful of how quickly home prices appreciate while riding the current market recovery. For move-up buyers wanting to wait out rising home prices to ensure they can sell their current home at a maximum price, analysts say the value of such a move depends on when the homeowner purchased their current residence. Daren Blomquist, vice president of RealtyTrac, says homeowners who purchased during the down market of the last two or three years would be wise to move up in 2013. “Because they bought near the bottom, these homeowners should have built up some good equity that can go toward the purchase of a new home, and waiting longer to build more equity likely won’t provide much advantage given that other homes that they might want to move up to will also be appreciating at roughly the same pace,” said Blomquist. According to data from the Mortgage Bankers Association, mortgage rates are expected to reach 4.4% in the next 12 months and the 20-year average could possibly hit as high as 6.5%. Real estate broker Redfin says this is precisely the reason why some homeowners wanting to sell their current home in lieu of finding a nicer one should not wait. While waiting a few years will most likely mean the selling price of the current home will be higher, it also means the price of the new home will rise as well. “If you’re selling one house just to move up to another, it does you no good to wait for prices to rise — the price of the move-up home will increase faster than the price of the place you’re leaving behind,” said Redfin CEO Glenn Kelman. With that being said, Blomquist warns potential homebuyers against rushing to buy a home once they have sold their current home. According to RealtyTrac data, more foreclosure inventory will become available in the next six to 12 months in markets with rebounding foreclosure activity in 2012. Markets such as Florida, Illinois, Ohio, Pennsylvania, New York and New Jersy will see the strongest growth in foreclosure inventory, according to RealtyTrac. “Particularly in these markets it might be good for the move-up buyers to sell in the spring when inventories are still tight, rent or stay with family for a few months, and then buy in the fall when that additional foreclosure inventory is listed for sale,” said Blomquist. However, for homeowners who purchased near the peak of the housing market — in the past five to seven years — it’s probably better to wait for home prices to rise further before they sell and move up, Blomquist advises. She’s correct – the local real estate rental/lease market is almost as strong as the for sale market. As a residential Realtor for more than 36 years, here in South Orange County, I am well qualified to advise you in your decision to sell or lease your present property. Give me a call or shoot me an email, and let’s talk about real estate. 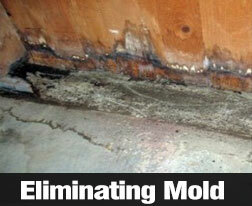 If you find mold, you know that you probably also have a water problem in your South Orange County home. “The number of homes for sale in Orange County last week fell to their second-lowest level in numbers dating back nearly nine years, Steve Thomas of ReportsOnHousing.com reported this week. 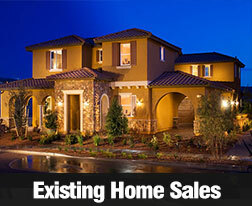 As of March 14, 3,183 Orange County homes were listed for sale in the Realtor-run Multiple Listing Service, or MLS. The only time in the period that listings were lower was on Jan. 3, when there were 22 fewer homes for sale. A year earlier, Orange County had 7,000 homes for sale. The average in figures dating back to June 2004 is 10,000 listings. Although the inventory “sits at an unprecedentedly low level,” the local housing market shed 54 homes in the preceding two weeks and 89 in the previous month, Thomas said. “The inventory is off to such an anemic start because the number of short sales and foreclosures coming on the market thus far this year has plummeted compared to 2012,” Thomas said. Orange County had just 226 distressed property listings – foreclosures and homes selling “short” of the amount needed to pay off the mortgage. That’s the lowest number in the past nine years, accounting for 7.1 percent of all listings. A year ago, the county had nearly 2,200 distressed listings, or 30.4 percent of the market. The market shed about a third of its distressed listings in the past month, Thomas reported. Anyone who is actively out searching for an Orange County house to buy – in almost every price range – had better be fast on the draw, and very well qualified. As for anyone considering selling, this is the best seller’s market we’ve seen in this area in a long time. 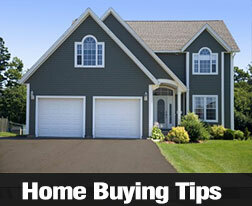 It is also a great time for prospective sellers to negotiate the commission they pay to a listing agent. One to one and a half percent to the listing agent, along with two and a half percent to the buyer’s agent – or a total of three percent to an agent representing both sides, is not uncommon, in today’s low inventory marketplace. Lower inflation rates allow consumers more discretionary spending power, which can further boost the economy and improve consumer confidence in making big ticket purchases including homes and related items and services in California and around the country. This is the best way to gain specific information on the South Orange County area’s market conditions and home prices.